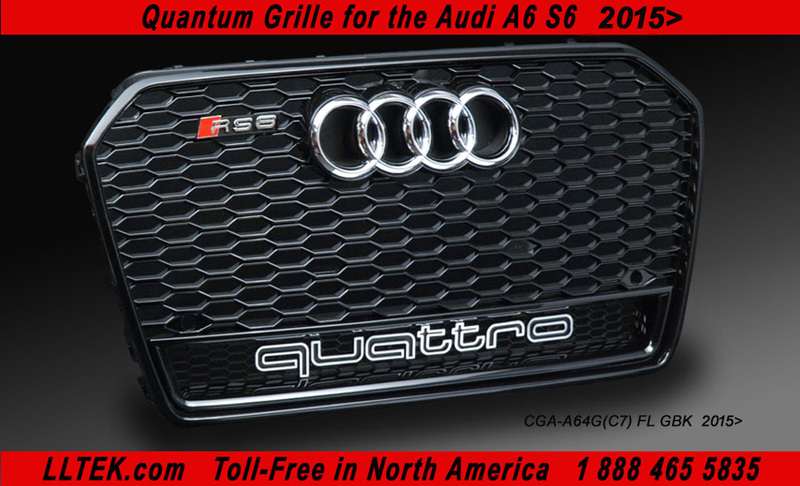 Latest RS Grill for after facelift Audi A6 4F (C7) - Best Value Modification! 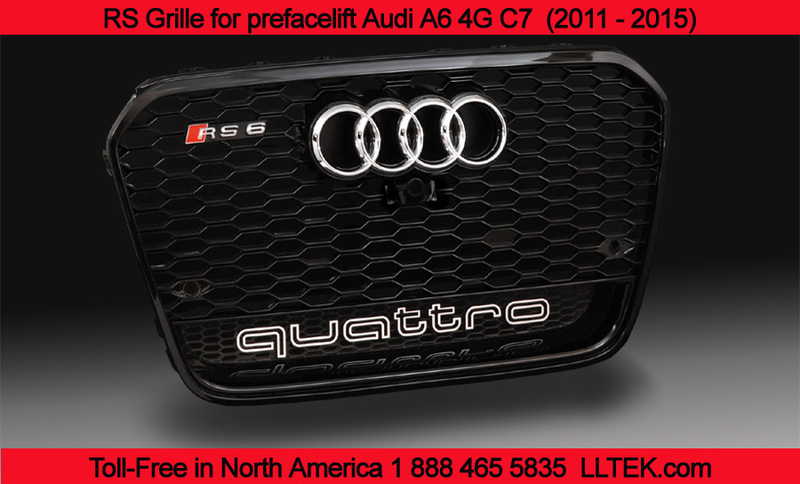 LLtek has a line of upgrade replacement grilles for your Audi A6 C7 (please scroll down for Audi A6 C6 options.) 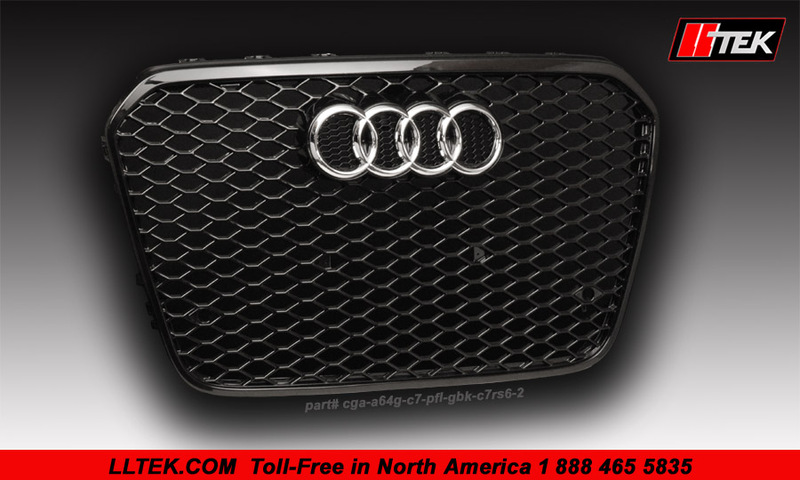 These styling parts can be installed as stand-alone upgrades; but we would recommend a quick look around the LLTeK site for other tuning and styling options after you've seen this grille section. 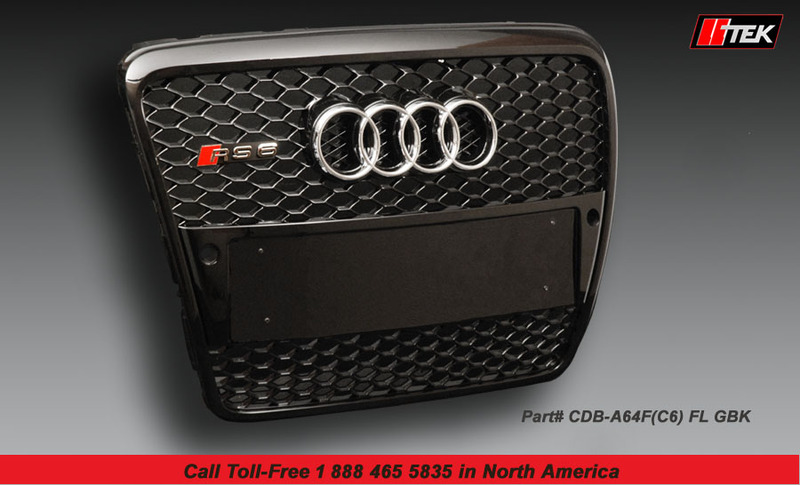 The Audi A6 (C7) RS grill is simply impressive, stylish and aggressive. 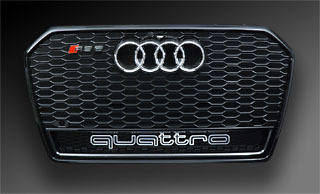 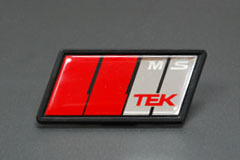 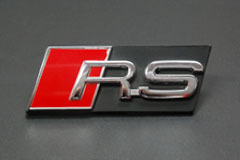 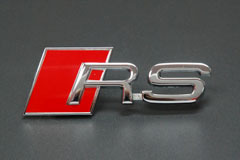 Gloss black finish with included chrome rings, quattro logo and RS6 emblem immediately puts your car in pole position. 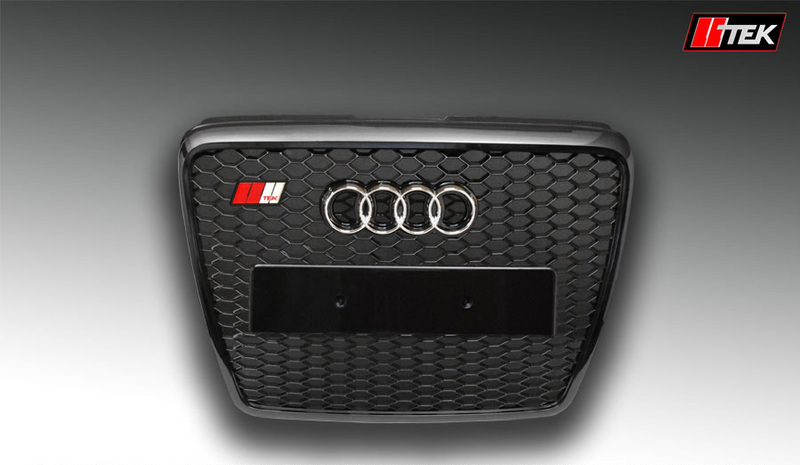 They have all been tested and fitted on real Audi cars so that when your choice arrives at your door - there is no guessing or worry about how installation will proceed.